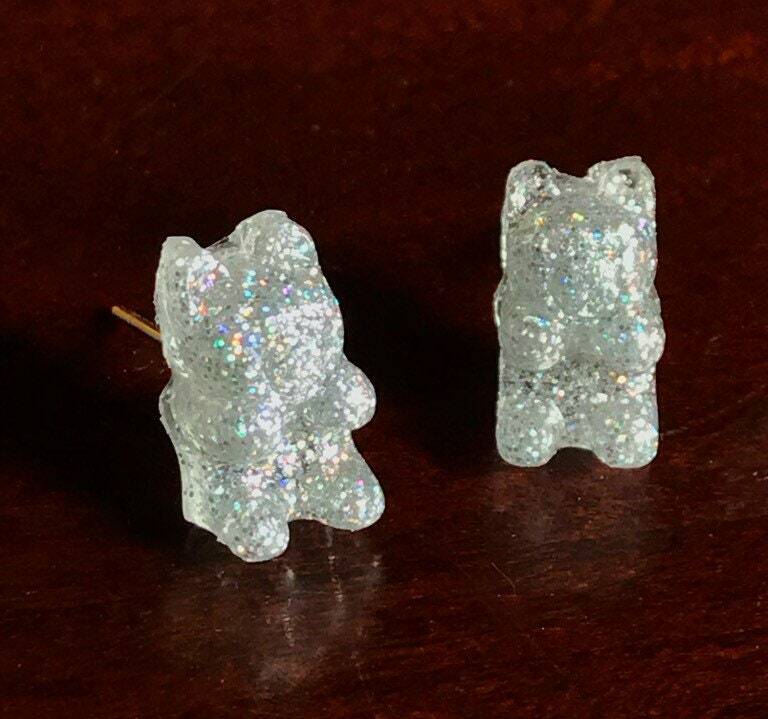 These tiny little bears are handmade using epoxy resin & holographic glitter! The pictures truly do not do these earring justice! 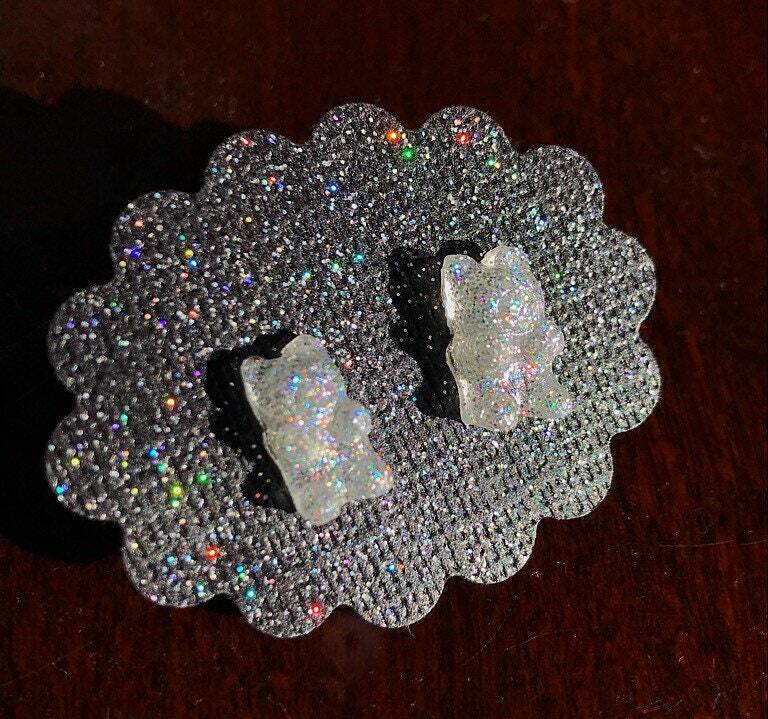 They are super sparkly and hard to capture in photos. 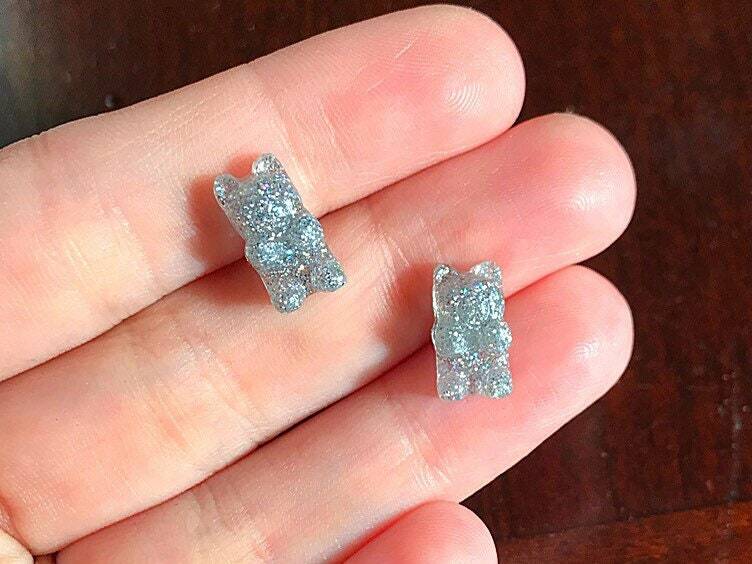 They can be attached to a Stainless Steel earring stud or Titanium! 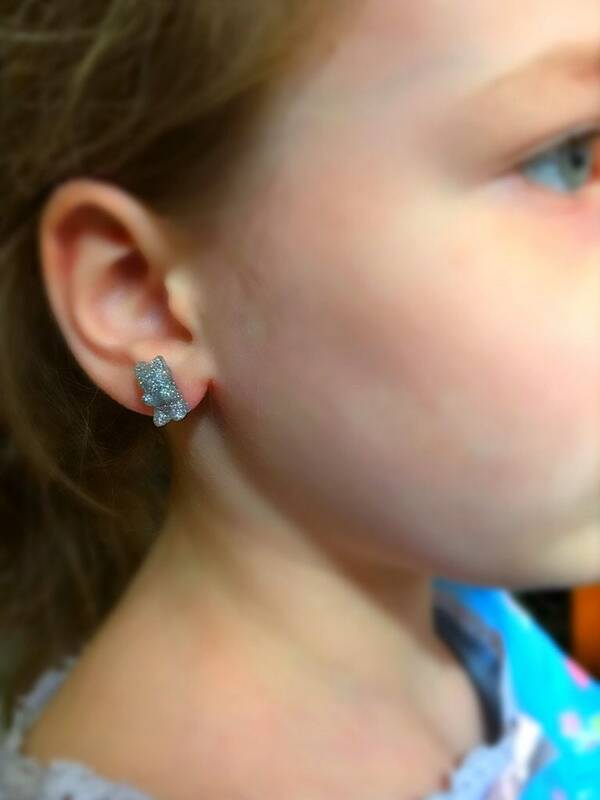 My 5 year old daughter is modeling them in the 4th picture so these earrings are perfect for little ears! If you have any questions or would like a custom order please message me!